After removing the front of the dash and the 4 screws that hold the head in, I found something I wasn’t expecting to see. 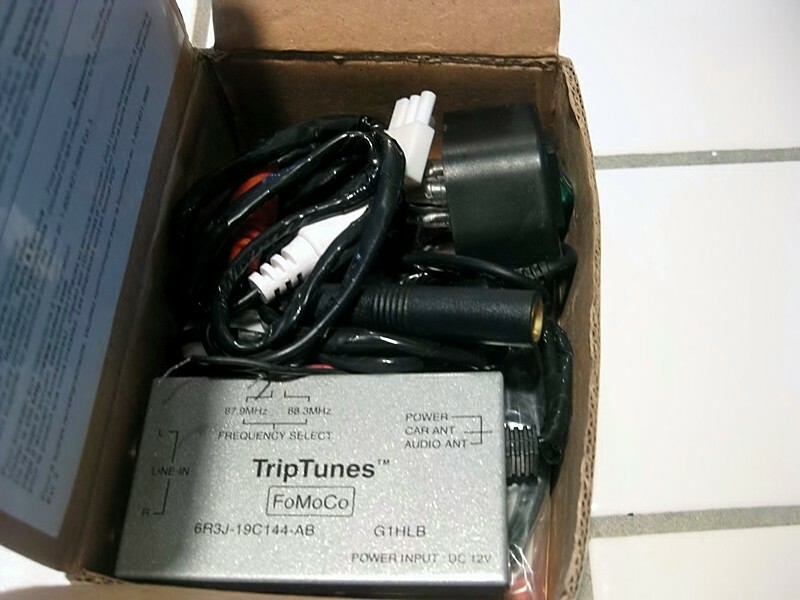 Evidently, Ford installs a silver box called TripTunes in lieu of a dedicated line-in. This acts like a built-in FM transmitter and as you can see, has a switch to select the frequency you’d like to broadcast on. (mine was set to 88.3 FM). So…if you have an AUX hookup in the glovebox and the AUX button does nothing, try plugging in your device and tuning to 88.3 OR 87.9 to see if you can get any love from it.